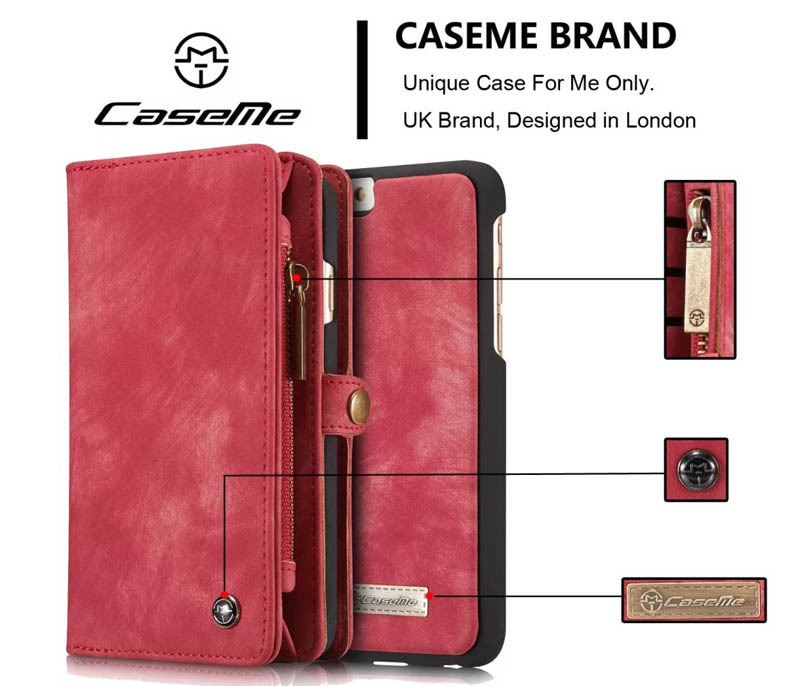 Free Shipping, Buy CaseMe iPhone 6S/6 Magnetic Detachable 2 in 1 Multi-functional Retro Leather Wallet Case at Casemecase.com. 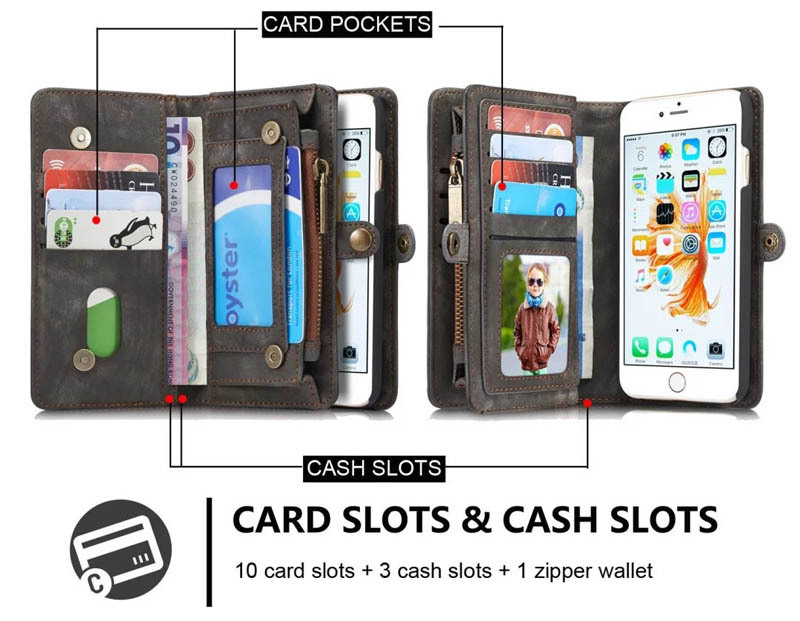 10 Card Slots + 3 Currency Pocket + 1 Zipper Coin Pouch. 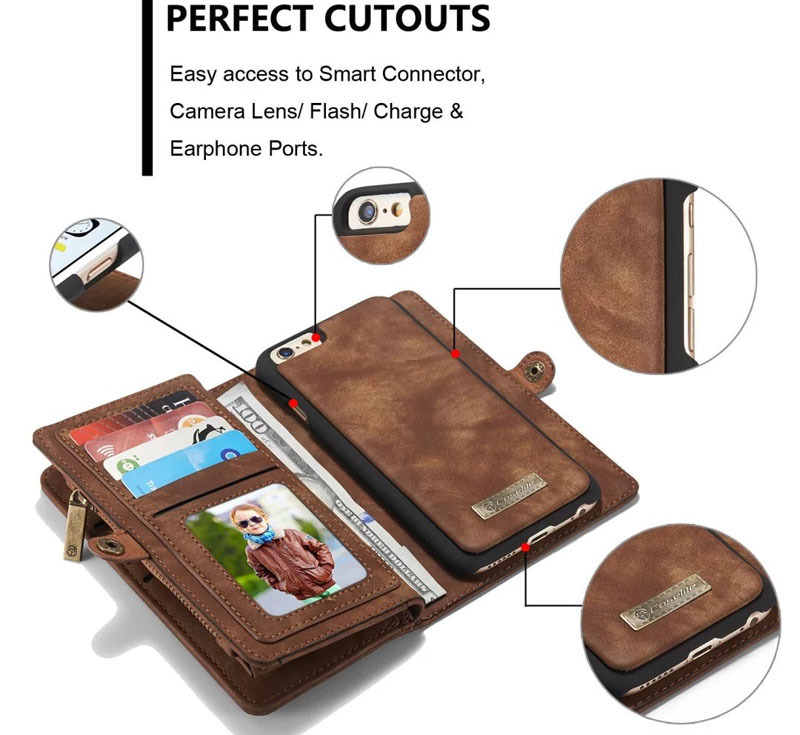 This case is perfect for your needs! 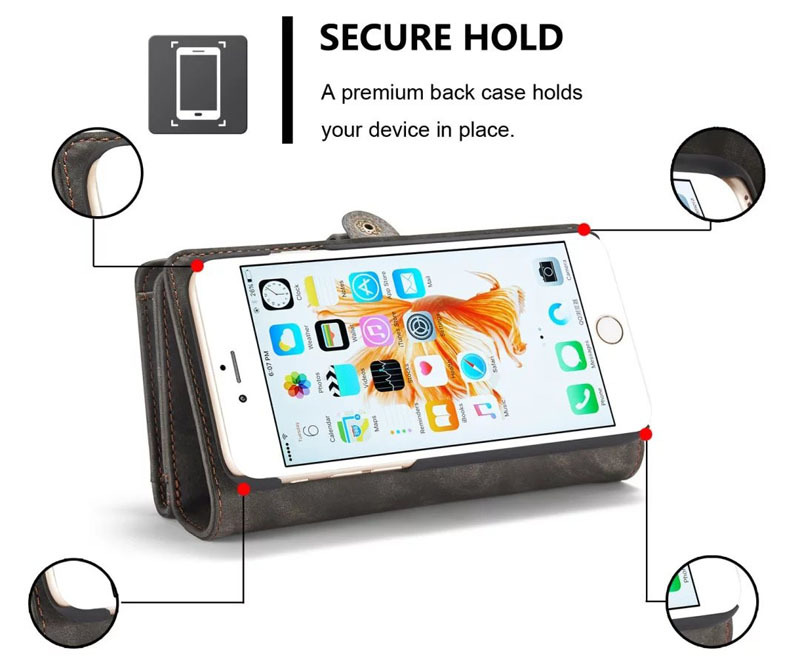 The magnetic back of the case securely holds the phone. 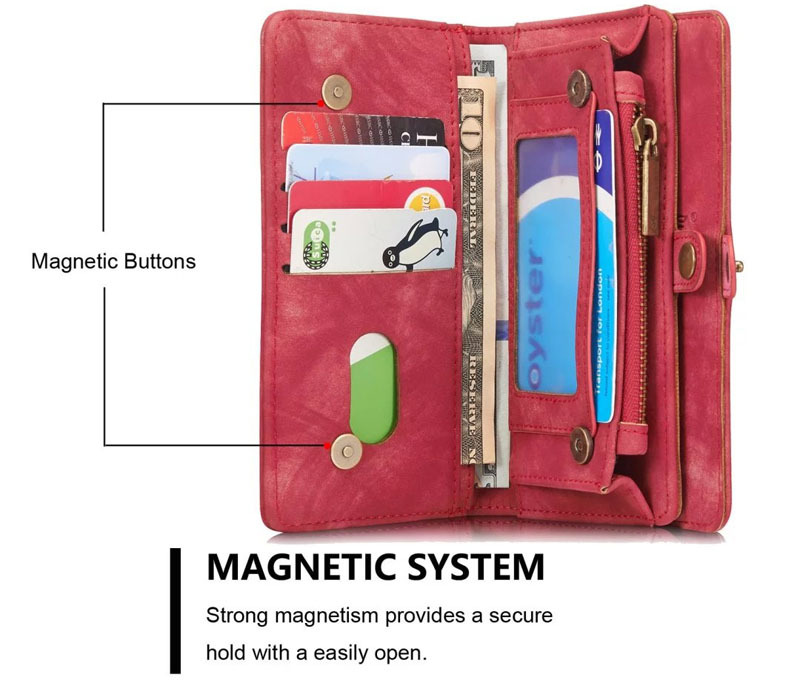 The other side has slots for debit/credit cards, store cards, business cards and cash. 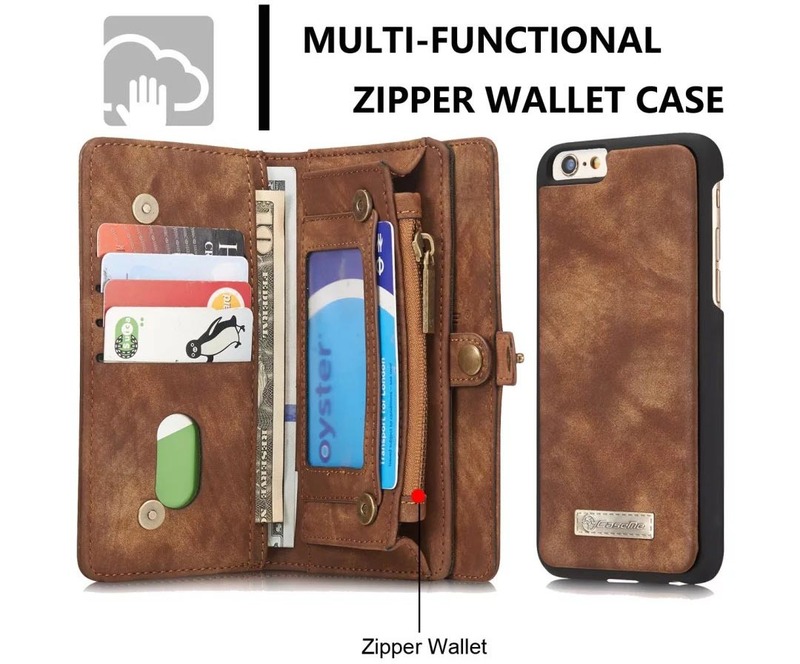 This is my third phone case i have bought .I love this one keeps your cards and phone right there .I did by a small card holder to keep in the zipper area all those store reward cards. 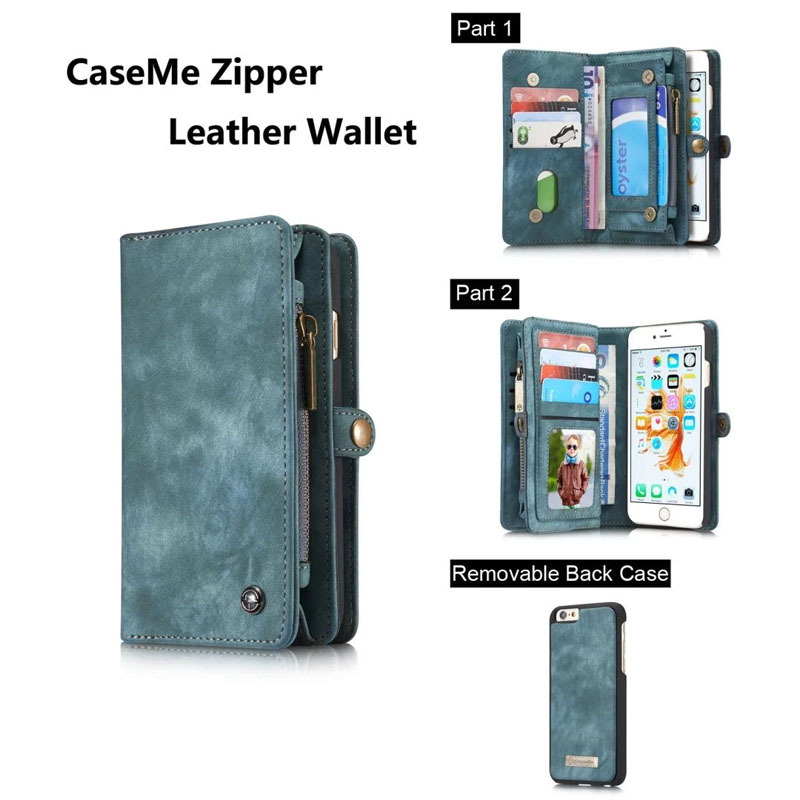 and the zipper area keeps my cash secure . 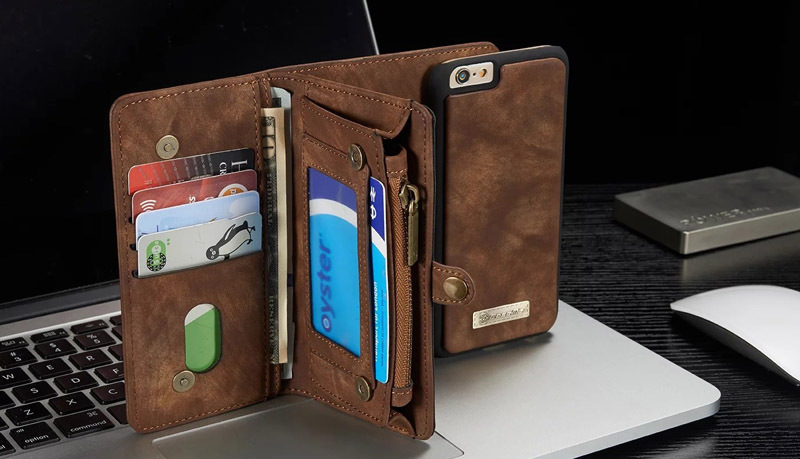 I love that the wallet does not bulge out like others i have purchased. I absolutely LOVE this beautiful phone case! 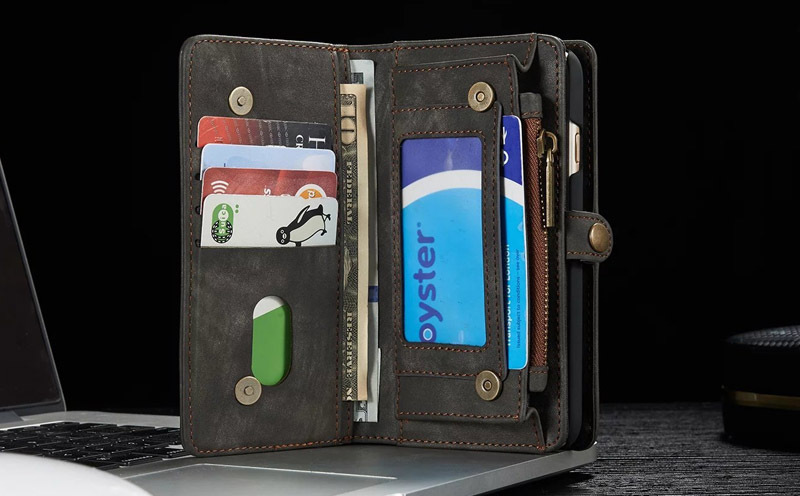 It has spaces for credit cards & license, and is functional as well as attractive! I am very pleased with the product and will surely enjoy using it! I absolutely love this case! 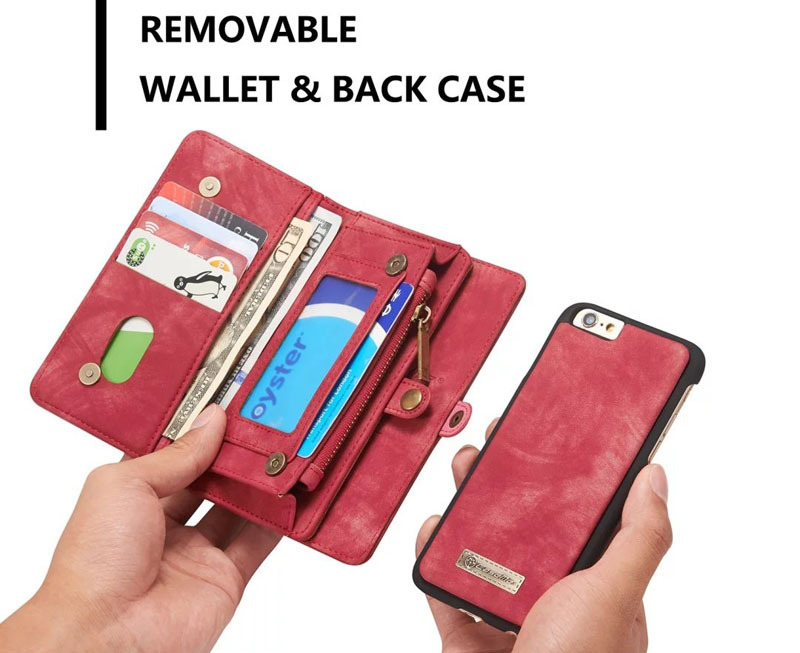 The phone case is detachable from the wallet if you want it to be, which is exactly what I was looking for. Who wants to be snapping pictures and showing everyone your cards or Id? Not me. 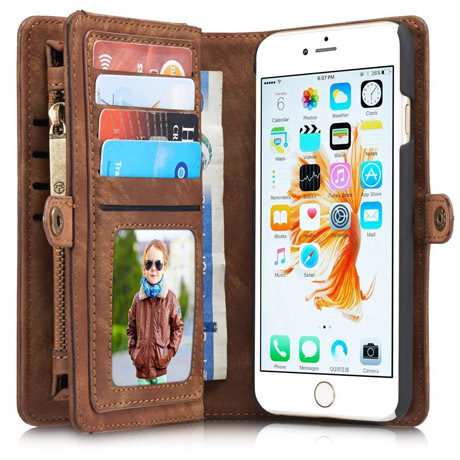 It’s great to throw the phone into the case for those quick trips for errands or your kids practices without having to haul around a purse along with everything else. The craftsmanship is great! I love the look and feel of it, there are no problems with the card slots being too big or too small. Just perfect for me! I will be keeping this company on standby whenever I need a new phone case! Thank you! This was exactly what I was looking for. I can easily take my phone out for easy talking on. 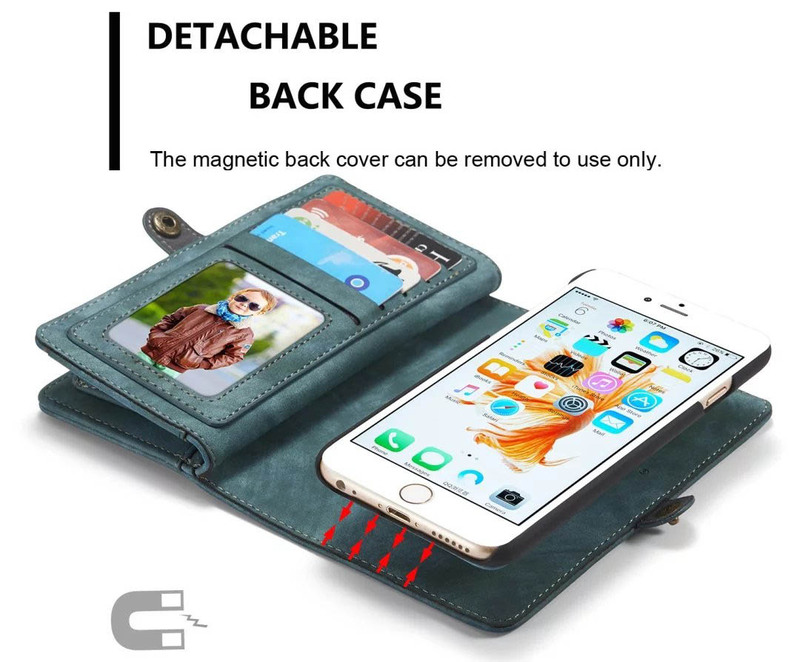 The magnet is very strong and holds the phone really well, yet you can easily remove it. It’s perfect. As expected, hope it holds up well! 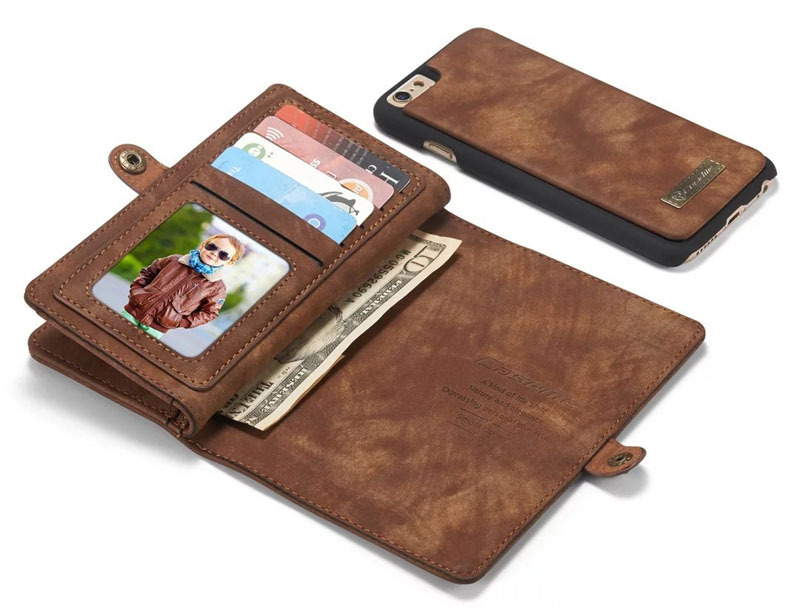 Magnetic phone case is strong, I am not worried about it falling out of the wallet case. I have had for a few months its holding up very well not falling apart or at the seams . 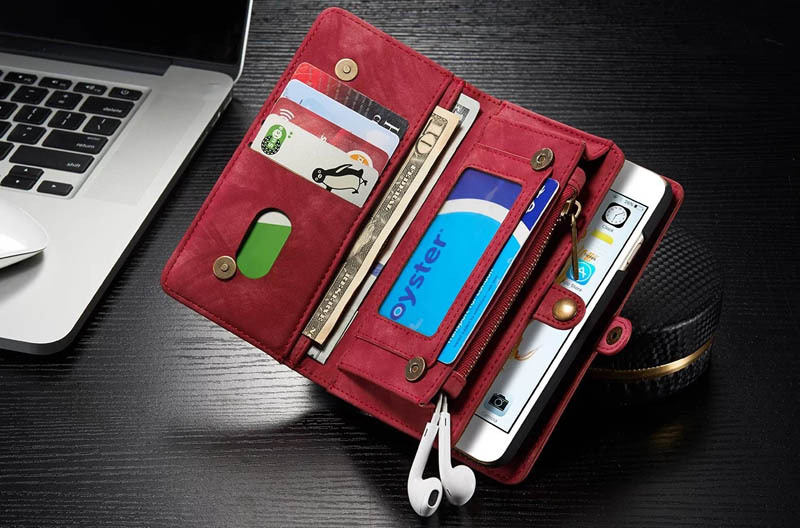 its great to have my phone and wallet together and also be able to pull my phone away from my wallet without snapping it in and out. Also the case itself it great ive dropped my phone a few times and it was protected . i have a heavy duty screen protector on my screen as well which i recommend pairing it with for more protection for your phone. 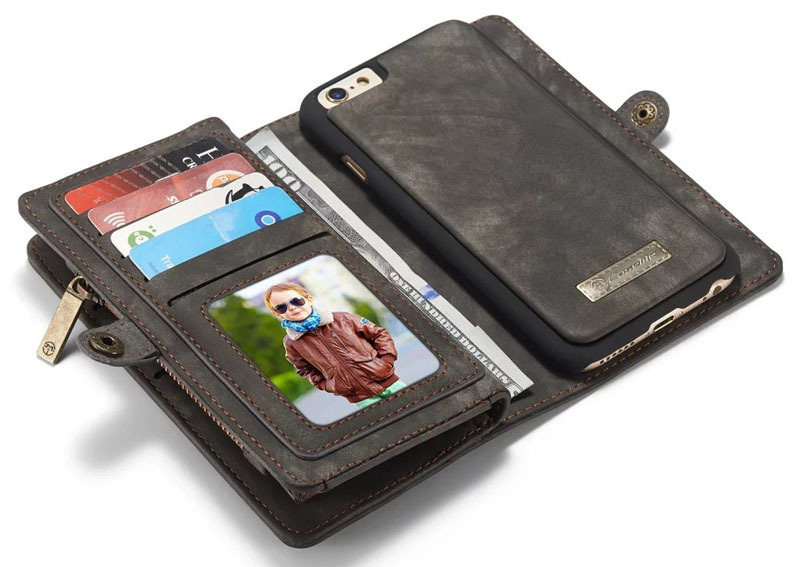 I have searched high and low for a cell phone folio case I this one by far is my favorite. 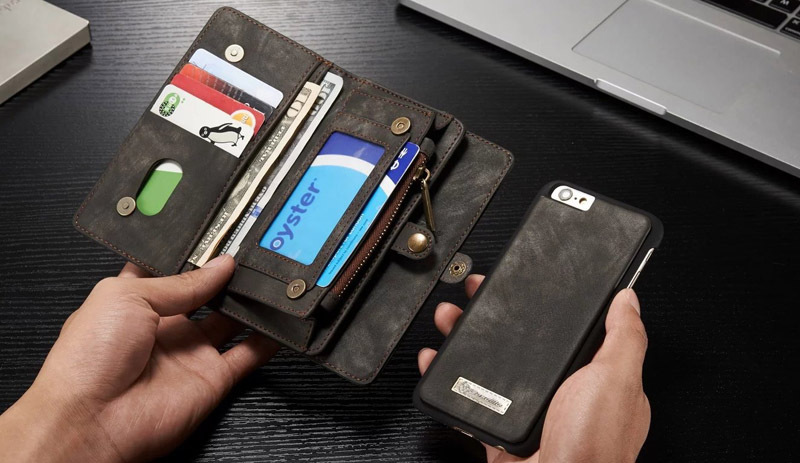 The major thing I love about this case is at the cell phone is held on by magnetic strips so I can remove the phone from the wallet when I receive a phone call and then placed back into the wallet when I’m finished. Fantastic for travel and it’s high-quality product. I also love the fact that it stays pretty clean overall. Looks super cute and not cheap. 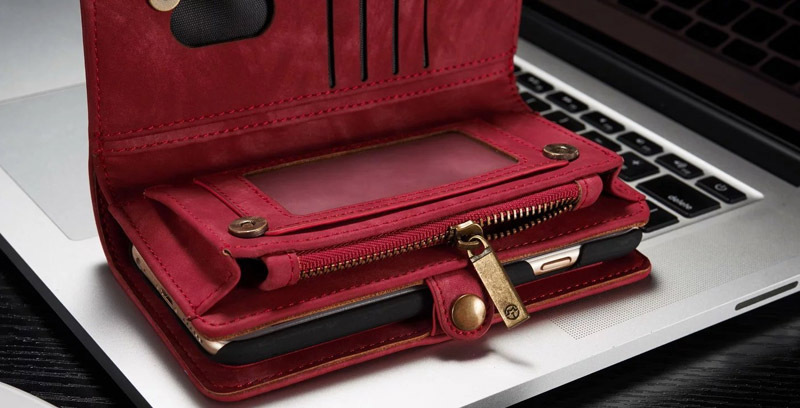 This is everything I needed, a zipper wallet, extra spaces for credit cards, a detachable phone for easy use. Love this phone case! Such a great color for summer! 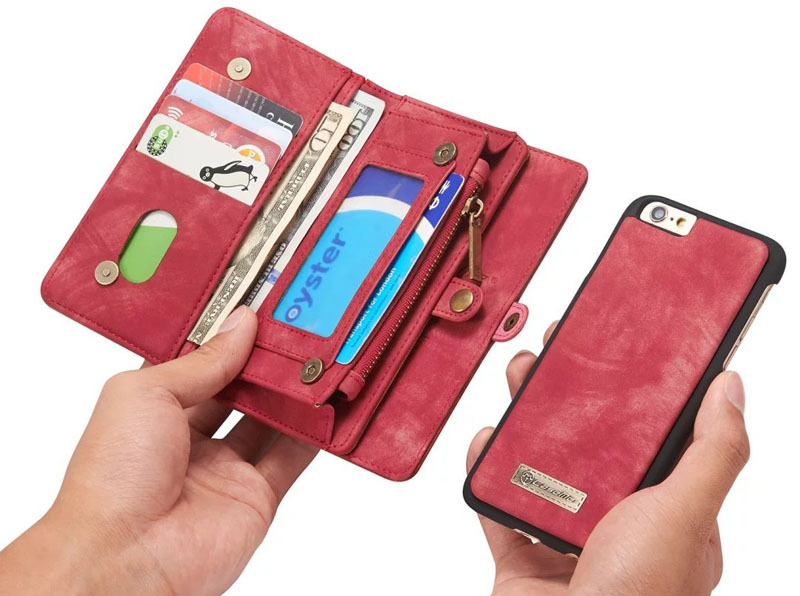 I love that the phone case is detachable from the card holder.